I may have said it before, but my upbringing in manners and etiquette was quite formal. I can still remember each time my brother and I would go to spend the night at our friend Jimmy’s house, which was often, being told by our parents “say ‘yes, sir’ and ‘yes, ma’am,’” though Jimmy’s mother Nancy was like family. I still carry a lot of that formality to this day. My use of sir and ma’am isn’t forced, it’s just my default way of addressing people — even children. With that being said, it may not surprise you that whenever we stay for an extended period of time or think the service at a guest house, B&B, or pension is excellent a thank you gift after departure feels only natural. The Emily Post manners guide even has a section with a list of inexpensive thank you gifts for house guests. You’ll notice my favorite gift is at number 10 on the list, a picture frame with a picture taken during your visit. The watercolor below is our take on that idea. Amanda’s Aunt Lillian is a very talented artist, so we commissioned her to paint this picture based on a photo taken on our trip to Seatown, England earlier this year. 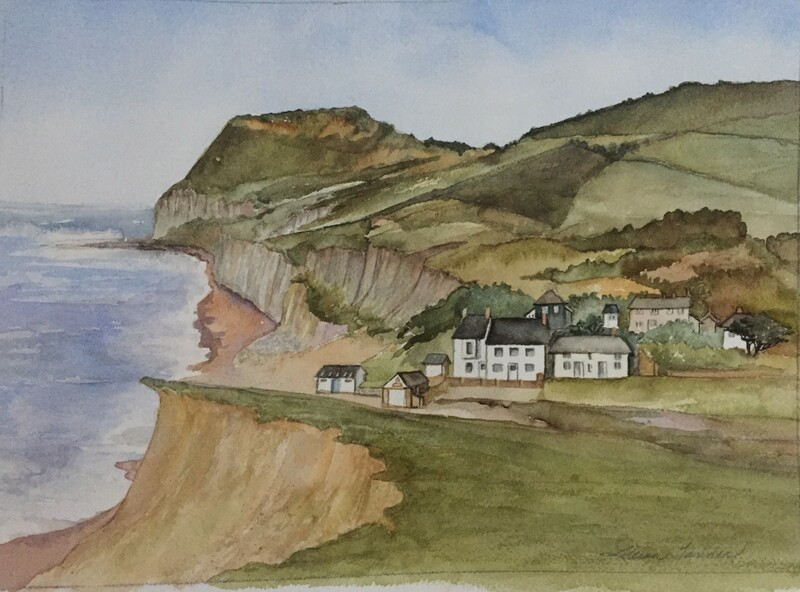 A watercolor of the Anchor Inn at Seatown, England by the talented Lillian Tanner. You probably appreciate when people say thank you, so when someone opens their home, even if it is a business like a B&B, you should say it, too. One of the points of travel is making friends, and isn’t making friends with someone who can offer you a place to crash and offer you a warm cup of tea after you long travel a great idea? And, for me, I just like letting people know how much their kindness and hard work is appreciated.